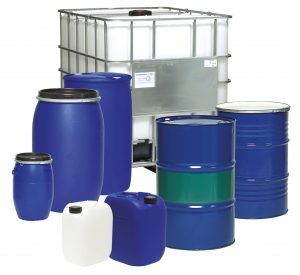 Fass-Braun’s product range includes corrugated steel tight-head and open-head drums, plastic and steel containers, corrugated plastic tight-head and open-head drums and small plated steel and plastic containers. New or reconditioned, with or without approval for the carriage of dangerous goods, Fass Braun GmbH will gladly deliver packaging to you. Fass-Braun can supply accessories and spare parts for all containers. With its wide range of industrial packaging cleaning options, Fass-Braun GmbH can offer reconditioning from a single source. Fass-Braun GmbH uses fully automated systems to clean 200-litre tight-head and open-head steel drums. The interior and exterior of the drums are cleaned and dried, de-dented, de-rusted, cleared of labels and inscriptions and re-painted according to your wishes. In addition, Fass-Braun has the capability to screen-print your logo onto the drums. After painting the steel drums are marked with the three letters FBH – Fass-Braun Hagen – three letters that guarantee you quality and safety. Fass-Braun GmbH can also clean steel or plastic containers with a capacity of up to 1,200 L as well as plastic open-head drums of various sizes. These are cleaned thoroughly inside and out with high pressure or brush washing systems. Labels and inscriptions are removed, the containers are dried and damaged parts are replaced. Necessary repairs are carried out on all containers. Only containers and plastic drums found to be in perfect condition will be distributed. On request, Fass-Braun GmbH can also conduct regular TÜV testing or inspections on your containers. with UN approval for hazardous materials on request. Fass-Braun GmbH provides products from all major container manufacturers. Most of our products are available on demand. At Fass-Braun GmbH all containers are reconditioned according to Recotainer standards. various models available on request. It goes without saying that Fass-Braun GmbH can supply you with all the accessories you need for your industrial packaging. We keep most of our products in stock so they are available on demand. Further information on the service and the products is available on request.